Still Life With Cat: Blessings. I has them. Okay, so a lot in life is currently awry if not completely cactus, but every time I go out into the back yard, the smell of the jasmine all down the side fence wafts over to me in sweet little gusts. The whole back yard smells like flowers. And there are other less heady but equally climby and spilly things further down the back. Given that one of the things getting me down is the treacherous weather, reverting to grey and wet and windy and freezing after that glorious brief breath of spring, it's hard to believe that half an hour ago when I took these photos, the sky looked like this. You don't get hayfever, do you? Nope. Just as well, don't you think? Love jasmine. Love the scent. But, in the plant world it is a boa constrictor. 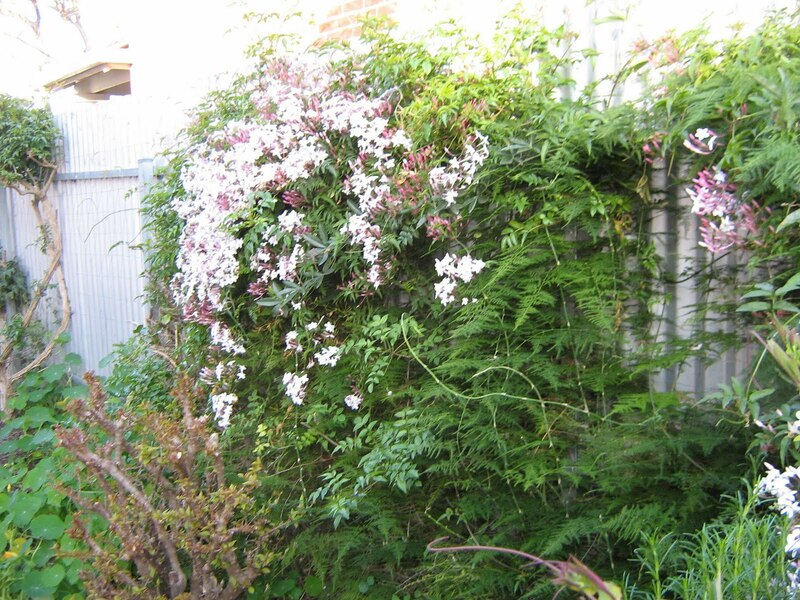 Alas, along my fence it is in competition with two other bigger boa constrictors: a rampant but non-bearing passionfruit vine and the dreaded asparagus fern that was planted before my time. 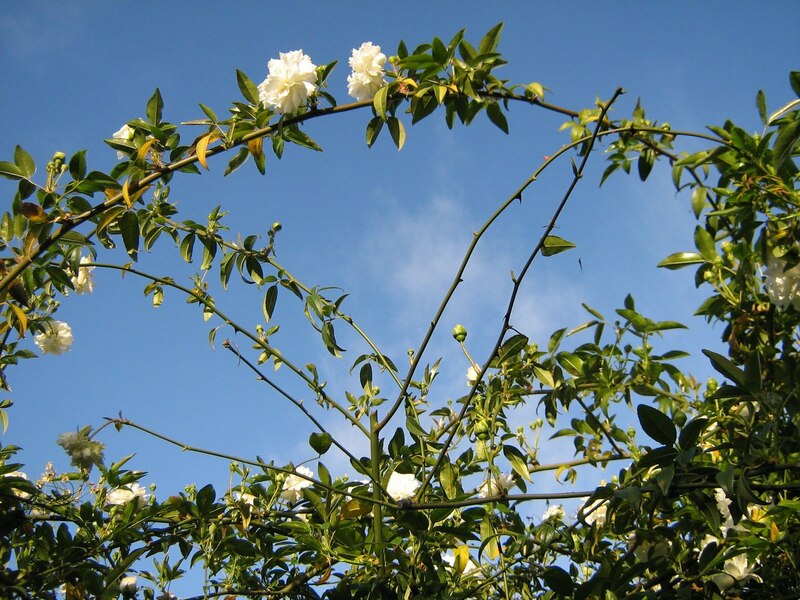 I would much rather just have the jasmine, though the passion flowers are quite amazing. I get flowers, just no fruit. Don't tell me, now its slate grey and raining down hail. It's like this in Melbourne, too. Ahh the joys of living in the bottom half of Australia. The passion flowers are incredible, aren't they? I quite like climbing boas (except the pollen, not a fan of the pollens). Glorious, Kerryn. My accommodation over on the coast the last few days had a jasmine in full flower at the end of the verandah. I bundled up against the cold, but sunny, day and camped on a couch nearby with my work. Bliss. And it didn't bother my hay fever at all (love antihistamines)! Perisflage, it's a LOLcat joke. Google I Can Has Cheezburger, if you don't know it already.